Hi everybody! It’s been a long time since I published my last freebie. 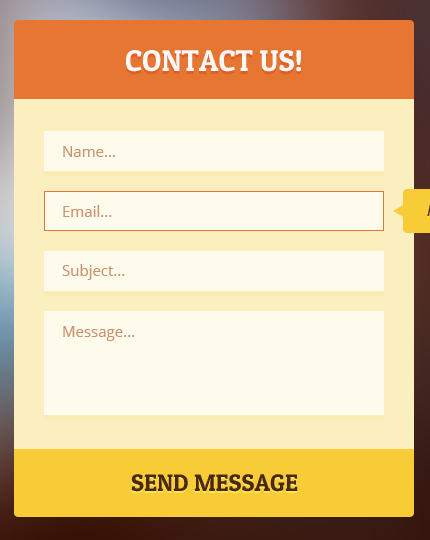 So, today I have a new freebie for you: a fully working flat contact form. The last few days I’ve been playing in Photoshop with this form, trying to choose the right colors. I’ve also coded it in HTML, CSS3 and made it work using PHP and AJAX. Take a look at the live demo and download it from the links below. You can implement the form directly in your project or you can change the colors and effects from the PSD file. Enjoy! You can use this contact form in personal and commercial projects, but you can’t sell or distribute it directly, “as is”. If you plan to use it, a link to this page or any form of spreading the word will be much appreciated.